Our 3-Day St. Petersburg VISA-Free Intensive Shore Excursion is the most saturated St. Petersburg Tour we offer. It lasts 3 full days, and the pace is a fast one. 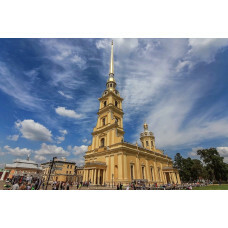 During this private St. Petersburg Shore Tour for Cruise Passengers you will basically see all the sights, including less popular but no less picturesque places like Yusupov Palace and St. Nicholas Naval Cathedral; also it includes Faberge Museum!